A traditional Irish folk song recorded by Kirsty McColl, Sinead O'Connor and by The Ludlows way back in the 1960s. The Butcher Boy lyrics + chords There's an easy to read version included with the letter notes over the words. 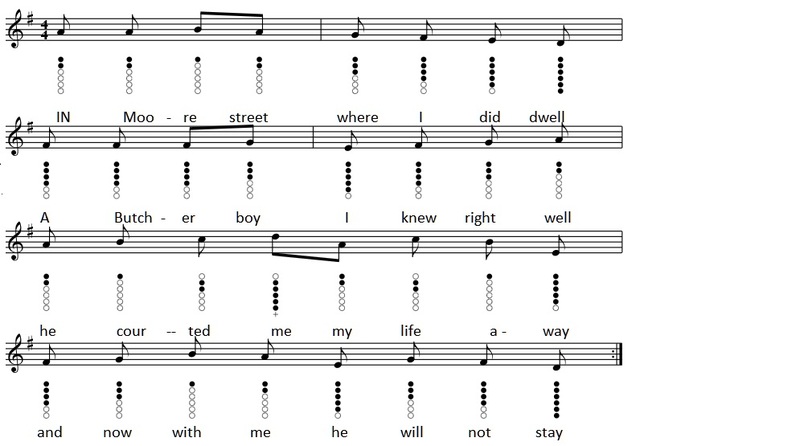 The Butcher Boy Sheet Music And Tin Whistle Notes in G. Use a D whistle for this song.